LaVall Jordan during Butler’s Dec. 29 game against Florida. Jimmy Lafakis/Collegian file photo. The blessing — and the curse — of sports analysis is that no single explanation can encapsulate why something happened by itself. It’s not black and white but rather varying shades of grey. For further proof, look no further than LaVall Jordan and the 2018-19 Bulldogs. Barring a miraculous end to the season, the Bulldogs are going to miss out on the NCAA Tournament for the first time since 2014. With the program’s success over the past decade, not participating in The Big Dance has become somewhat of a foreign concept to the Butler faithful. It becomes easy to forget that winning a game in March Madness — as the Bulldogs have the past four seasons — is not something to take for granted. In fact, exactly one current Big East coach has more NCAA Tournament wins since the conference realigned before the 2013-14 season than Jordan. That would be two-time national champion Jay Wright of Villanova. The other eight coaches compiled four tournament victories in a total of 26 seasons at their respective schools in that same time frame. Kevin Willard, Ed Cooley and Greg McDermott all have one in five seasons. Jordan reached that total in his first season. In Jordan’s three years as a Division I head coach — one at Milwaukee and two at Butler — this is the furthest from going dancing any of his teams have been. He took a team with four scholarship players to within a game of the NCAA Tournament at Milwaukee and guided Butler in with relative ease his first season back at his alma mater. He is also 5-3 in postseason play, a remarkable feat considering the context. Even with a 16-14 overall record and four conference losses at home — the most in four seasons — opposing coaches are heaping praise on Butler. “They’re an NCAA Tournament team. They’re really a very good team,” Wojciechowski said later in the press conference. Perhaps no one in college basketball exemplifies the importance of giving a coach time than Wojciechowski. He went 33-32 in his first two seasons with the Golden Eagles and reached the NCAA Tournament once in his first four years, exiting without a win. Now, Marquette is half a game back of Villanova for first place in the Big East with only two regular season games remaining. The Golden Eagles are a top 25 team in the country, and their top six scorers are all eligible to return next season. Admittedly, Jordan walked into a better situation than Wojciechowski did, but the growing pains with any new coach still exist. There were times — especially this season — when Jordan paid a price for his inexperience: up by nine against Indiana with 9:31 left only to lose on a buzzer-beater, blowing a 10-point lead in the final 5:31 at Xavier. Win those two games and the conversation surrounding Butler’s NCAA Tournament hopes is completely different. Jordan is by no means exempt from the discussion surrounding the team’s struggles this season, but only looking to the sideline for an explanation is irresponsible. A coach can only do so much while watching a team allow 15 offensive rebounds and 22 second-chance points or give up three layups and a dunk in the first five possessions of a game. The latter, which occurred in the overtime loss to Providence on Feb. 26, is in many ways representative of the Bulldogs’ season. The Friars did exactly what Jordan thought they would. That’s not a coach who’s in over his head. Coaches can make adjustments in the way they communicate information or try to motivate players. You can’t teach what you don’t know. Coaches, like players, only get better with experience. 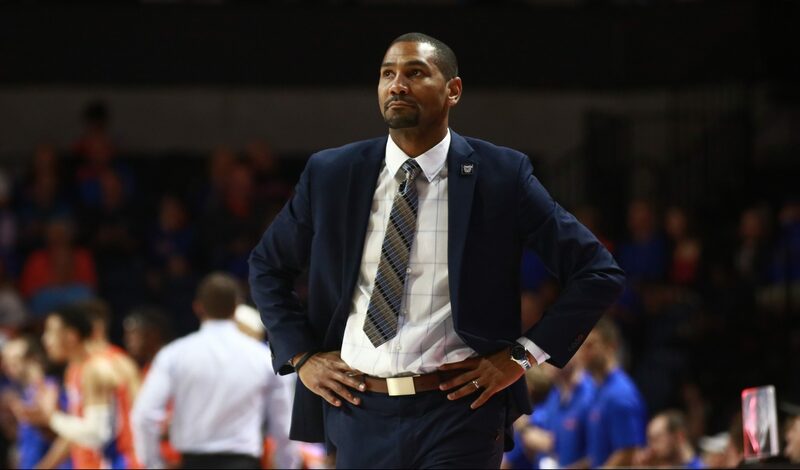 The LaVall Jordan who inherited this program in 2017 will not be the same LaVall Jordan preparing for next season or the same LaVall Jordan five years from now. Athletic director Barry Collier didn’t pick Jordan because of his vast array of experience. He hired Jordan because Jordan understands the identity of the Butler basketball program and could be an excellent coach at Butler for the next 20 years. With his performance up to this point, Jordan’s earned the right to trust and patience while he continues to evolve. He is in his third season as a Division I coach working with a team that only has two seniors. The ups and downs of Butler’s season — as well as the Big East overall — is also due in part to inexperience. “The league is young, and I think a lot of people forget that,” Providence head coach Ed Cooley said after the Friars’ overtime win at Hinkle. Next season, Butler returns an older version of its starting lineup plus two other players with at least 250 minutes of action this year. Bryce Nze steps in as a ready-made replacement for Nate Fowler. Jordan Tucker gets a full year in a Butler uniform, and Aaron Thompson gets another summer to improve his jump shot. On top of all that, Khalif Battle comes in as a consensus top-150 recruit, ranked as high as 80th by ESPN. One disappointing campaign doesn’t mean Jordan has the Bulldogs headed in the wrong direction. Butler is having its first “bad” season in five years and still has an outside shot at making the NCAA Tournament. Blaming a coach for a team’s shortcomings is the simplistic approach. Of course, Jordan has a role to play in the story of Butler’s season, but he’s not the only main character. The answer — as is almost always the case in sports — lies somewhere in those shades of grey.